Here’s a quick circuit that allows you to measure the capacitance of a varicap (also known as a varactor). As varicaps generally have a very small capacitance (typically a few dozen picofarads) it pays to keep the wiring between the varicap (VC) and the capacitance meter as short as possible to reduce stray capacitance. I recently acquired this lovely McIntosh PF-2510I-A 6-disc in-dash CD changer. This model was available as an option in the North American market Subaru Legacy and Outback. It is often but incorrectly referred to as the PF-25201 or PF-25201-A. McIntosh PF-2520I-A. Yes those are solid aluminium knobs! 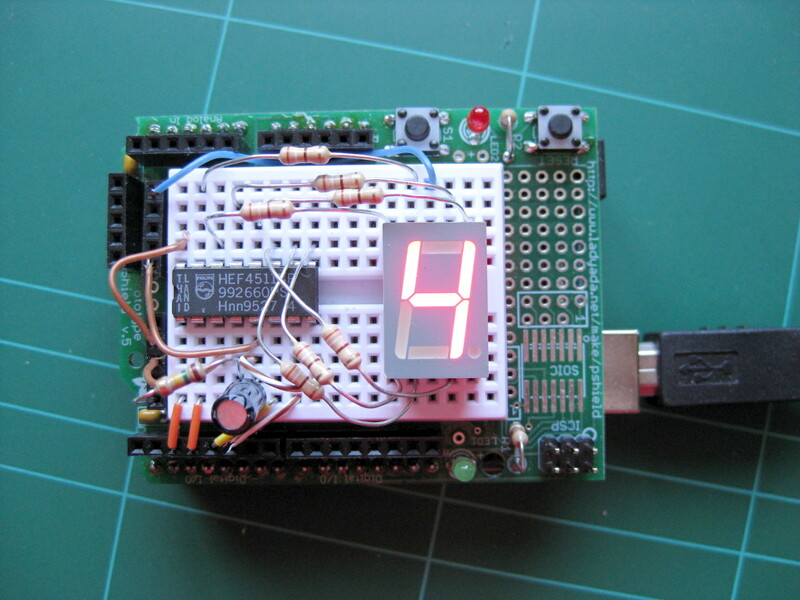 Here’s a brilliantly simple article on making PCBs at home. I’ve tried a few times with the toner transfer method but using magazine paper looks to be very effective. Normally I try to stick with HP printers when using them in Linux as they seem to have the best support thanks to HP’s efforts with HPLIP. I recently went against my own advice and purchased a Brother HL-2150N monochrome network laser printer. Brother have at least tried to provide drivers for Linux and even supply Deb packages. Unfortunately installation is a mess involving ugly binary wrappers and packages that don’t appear to conform to Debian policies very well. It appears that there are many different ways to interface a seven segment LED display to the Arduino; the humble 4511, 74HC595 shift register and a multitude of fancy (and expensive) serial ICs such as the MAX7219. I decided to use a 4511 driver IC for this purpose as it was the only suitable chip I had lying around. It saves a few pins over driving the display directly from the Arduino and also works from a wider voltage range so can be used for driving large display modules. This is a copy of a post I wrote on the Club Sub forums. 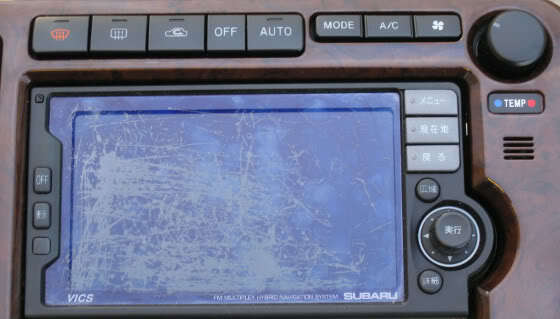 Here’s how to replace a Subaru OEM “FM Hybrid Navigation System” included in many JDM BE and BH Legacys (MY1998-2003). This unit also functions as a display for the HVAC (heating, ventilation and air conditioning) controls so it’s a pain if you want to rip it out or don’t have the firmware CD (I have a working image of this if you need it BTW). The good new is you can replace it with the standard auto climate panel. Note that all the mechanics and wreckers I’ve spoken to say this can’t be done; however it can and I have! It took a bit of hacking and research, and I’ve never found any instructions on it anywhere so I’ve written this in case you want to have a go yourself. Unfortunately I didn’t take the photos until afterwards so there aren’t many. Before I start, I should mention that if you modify your car it is at your own risk. I am not to be held responsible for any damage or injury caused as a result of using the information in this post. It has worked well for me but there may be variations between models, etc. First, some important notes. It seems there are several different types of ‘standard’ (i.e. non-satnav) climate panel available; 000, 100, 170 and 180. There may even be others for all I know. The 030 is the satnav-style one. The 000 and 100 were used from 1998 to 2000 and have a built-in air temperature sensor. I’ve no idea what the difference between the two is. 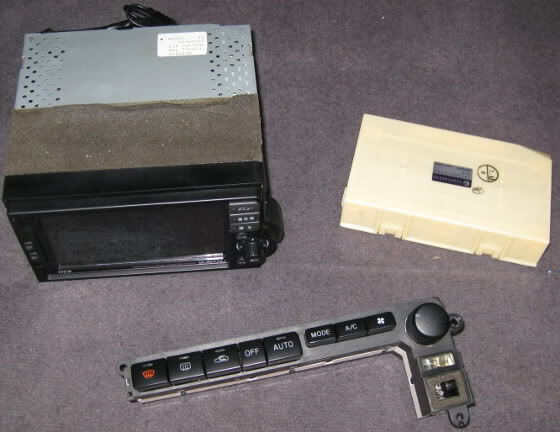 The 170 and 180 were used from 2001 to 2003 and have a separate air sensor located in the dash surround. I’m not sure what the official difference between them is but I do know the 180 doesn’t beep when you press buttons and doesn’t seem to be quite compatible with the 170 wiring loom. Maybe someone else here can explain in better detail. I replaced my old 030 with a 170 and it works fine. I have no idea what to expect with the others but can’t see why they wouldn’t work either; I doubt Subaru engineers would make significant changes to the electrical specs as it would just cost them money. 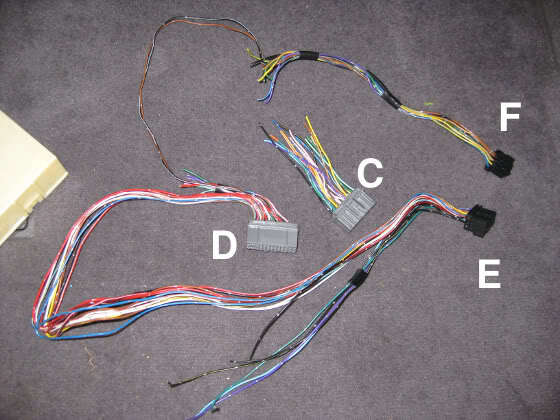 Whatever type you choose, make sure you get the plugs and wiring to match that same part number! They all physically fit the same but I’ve been warned by my mechanic that Subaru had a habit of changing the pins around with each model. Shop around too; try TradeMe, eBay and various wreckers as prices vary widely. I was originally quoted between $220-$300 but in the end I got mine from RPM Garage for US$55. The other thing to note is the dash fascia. Obviously to save money you could just replace the fascia around the stereo with one of a matching colour. Mine was fake wood grain so I decided to go the whole hog and replace the entire kit (transmission shift fascia, stereo fascia, drink holder and lighting control panel) with a smarter black brushed aluminium look. Note you will need to find a shift fascia that matches your transmission type. If you use a 170 or 180 controller you will need the surround that has an air temperature sensor on it. It’s probably easiest to visit a wreckers in person so you can hand pick all the bits you need. There is a nice post with photos on getting things apart here. I’ve described it anyway. First up you should disconnect the battery ground. The transmission fascia simply unclips. Start by carefully lifting the handbrake end straight up until it pops off, then gently pull the fascia towards the rear of the car until the top two clips pop out. Manuals you will need to unscrew the gear shift knob, autos you need to unplug the mode switch. Remove the two screws on the accessory tray and lift it out. Remove the ash tray. There are two screws under the stereo fascia where the ash tray sits; remove these. 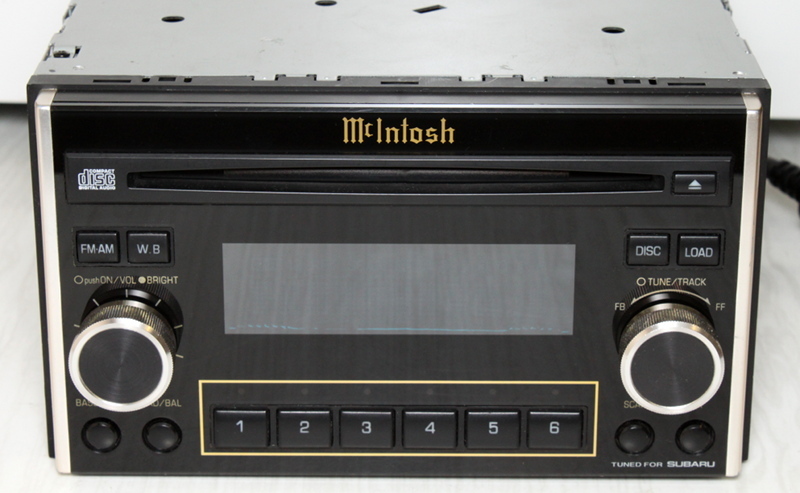 The stereo fascia simply pulls out. You will need to run a flat object around the sides to help unclip everything. I use a stainless butter knife wrapped in PVC tape for this to prevent damage to the dash. The drink holder and climate buttons come out with the fascia. Disconnect any plugs from the fittings on the fascia and the air temperature sensor hose. Undo the screw below the air vents and gently pop the air vent panel out slightly to make room for the next step. Undo the six screws on the stereo brackets and remove the stereo/satnav assembly. It’s quite heavy and there are a lot of plugs to disconnect! Be careful not to knock the sharp metal brackets on the dash as it scratches very easily. 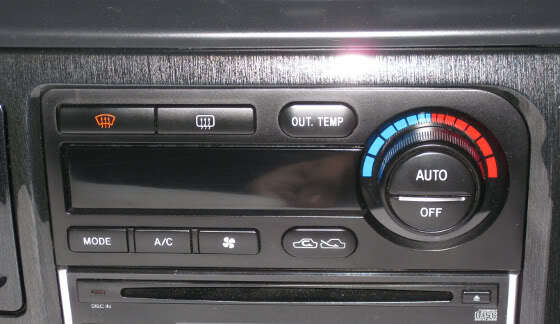 The climate system consists of three units; a beige box on top of the satnav unit, the satnav unit itself and the button panel. The beige box is the HVAC computer; this is almost identical inside to the standard climate unit sans the buttons and display. Identify the plugs to each of the units. There are two grey ones to the HVAC computer, a black one to the control panel and another black one to the satnav unit. Here comes the fun part. Remove the tape from the above four looms all the way back to where they join to the stereo loom. You will notice that there are a lot of wires that link the units; two (black and brown) between the HVAC computer and the satnav and quite a few more between the beige box and control panel. Cut each wire one at a time (except the looped ones) and connect the replacement plugs as shown in the chart below. 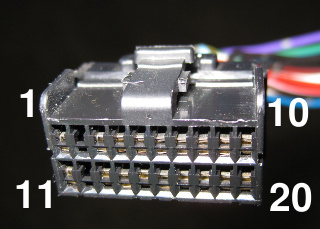 Solder and heatshrink each connection for the best reliability. I recommend labeling each one as you go so you can easily revert it all if the mod doesn’t work. There will be quite a few spare wires left over; heatshrink any spare ends to prevent shorting. Note the two light blue wires that need to be joined together. Anything italics doesn’t have to be reconnected, I’ve just provided them for reference. C14 N/C Black/Yellow Illumination ground? E3 N/C Black/Yellow Illumination ground? F – None used. The Yellow/Violet wire is 12V accessory and a handy tap if you have a band expander as it saves chopping the stereo wiring. Double check your work before reconnecting the battery! Press Defrost to begin the self-test cycle. The unit will cycle through a variety of tests and display the number of each test as it runs. Check that everything operates as shown in the test chart below. If this all works OK, ensure the engine starts normally and no fault lights appear. The GPS antenna is located behind the instrument cluster. If you want to remove it you will need to take the instruments out first. I left mine in there. The CeNet and video cable go under the driver kick panel and end up under the drivers seat where there is a TV tuner module stuck to the carpet with Velcro. I removed all of this intact as it it quite simple. Now you can tape up the looms, put it all back together and enjoy your new climate unit!